A –3.0 nC point charge is held at the origin, and +2.0 nC point charge is held at x = +1 cm. 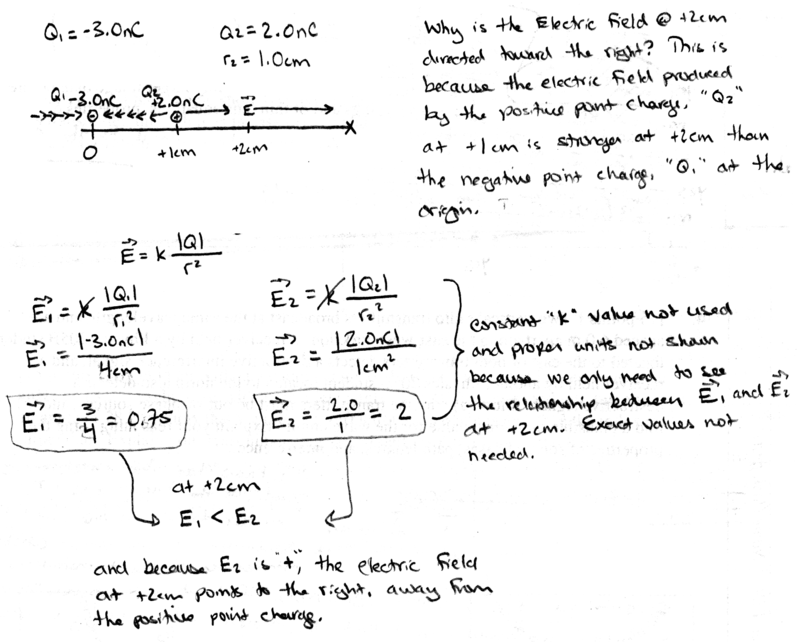 Discuss why the electric field at x = +2 cm is directed to the right. Explain your reasoning using properties of electric forces, fields, and vector superposition. explaining that the vector superposition of E1 and E2 at x = +2 cm will result in a total electric field that points to the right, as it (a) will have the direction of the larger of two opposite electric field vectors there, or (b) would be the result of the subtraction of a smaller E1 magnitude (to the left) from the larger E2 magnitude (to the right). Nearly correct, but approach has conceptual errors, and/or major/compounded math errors. 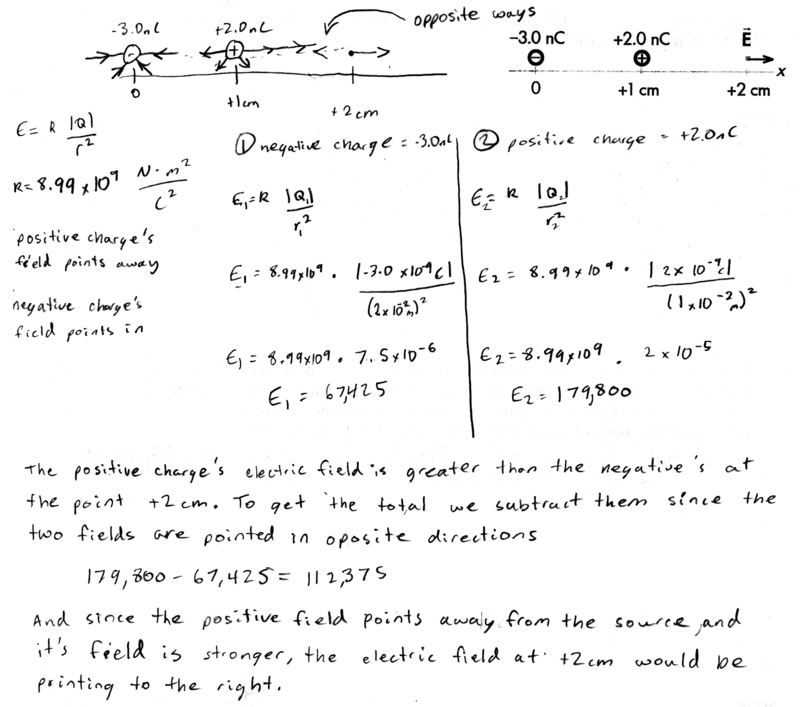 At least some attempt at finding electric field magnitudes and directions created by each source charge at x = +2 cm, and discusses result of the addition of these electric field vectors. Limited relevant discussion of supporting evidence of at least some merit, but in an inconsistent or unclear manner. Some garbled attempt at applying electric forces, fields, and vector superposition. Typically discusses the force that these charges exert on each other. Implementation/application of ideas, but credit given for effort rather than merit. No clear attempt at applying electric forces, fields, and vector superposition. High-resolution observations of __________ revealed the presence of an intermediate mass black hole near the Milky Way's central supermassive black hole. (E) an interstellar gas cloud. Analysis of __________ provide new evidence of massive solar storms that have impacted Earth over the past 1,500 years. (B) Ceres (a spherical-shaped body in the asteroid belt). (C) Amalthea (an irregular-shaped asteroid in orbit around Jupiter). (D) Cruithne (an irregular-shaped asteroid sharing Earth's orbit around the sun). Amalthea orbits Jupiter (and does not directly orbit the sun, fails I); is irregular in shape (fails II); and does not dominate its orbit around the sun (fails III), as it is gravitationally bound to orbiting Jupiter as Jupiter orbits the sun. Cruithne orbits the sun (meets I); its shape is not "rounded out" (fails II); and does not dominate its orbit around the sun, sharing it with Earth (fails III). Thus none of these choices only meets qualification III, but does not meet qualifications I and II. Thus Cruithne is the only object listed here that only meets qualification I, but does not meet qualifications II and III. 2015 TG387 was discovered at a distance about two and a half times further away from the sun than Pluto. The location of 2015 TG387 is similar to other known extremely distant objects, suggesting that something is pushing them into similar types of orbits around the sun. The similarities of the orbits of 2015 TG387 and other extremely distant objects suggest the presence of an unknown planet several times larger than Earth--sometimes called "Planet X" or "Planet 9"--also orbiting the sun well beyond Pluto. [*] Press Release, Carnegie Institute for Science, "New Extremely Distant Solar System Object Found During Hunt for Planet X" (October 02, 2018), carnegiescience.edu/news/new-extremely-distant-solar-system-object-found-during-hunt-planet-x. Since 2015 TG387 orbits the sun directly, it would pass qualification I; and if found to have a spherical shape it would pass qualification II; but as "Planet X" is "pushing" it and other objects into similar orbits around the sun, 2015 TG387 would not be dominating its orbit around the sun, and would then be classified as a dwarf planet. "All of the class examples are helpful as well as really taking the time to work out the midterm problems on my own and looking at the 'p'-rubric answers." "I think the key to studying for this midterm is practice. I feel like reading about and explaining most of the topics on the exam would not help me use the ideas. 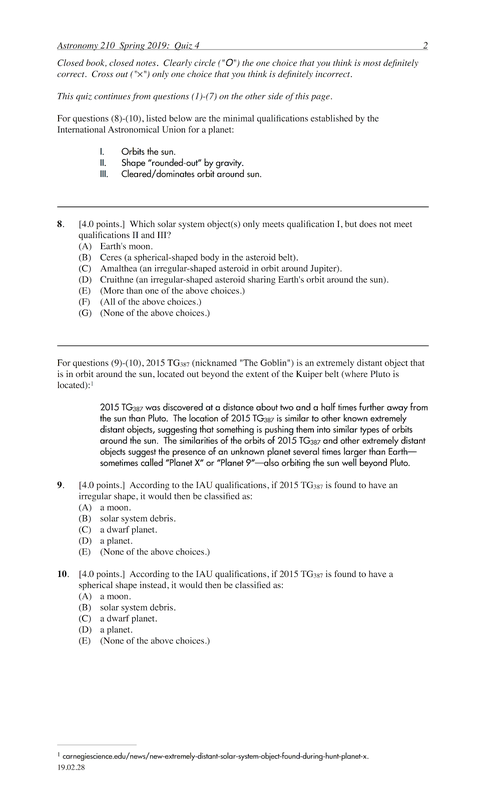 The best practice is material from previous quizzes and exams. I was let-down by some of the examples in the book, I do not feel like it helps me understand how to use the equations very well. " "Go over your notes and do all of the review problems posted!" "Doing the practice problems definitely help in learning the material." "I wrote down all of the equations and went through all of the practice problems and pretended like it was the midterm and saw where I needed help and where I was pretty good." "Doing all the listed quiz, midterm, and final questions and going over them repeatedly." "The problems you give us on the website are very helpful for studying for the midterm. It's a variety of subjects that you have told us are going to be on the midterm." "Going over the quizzes and notes"
"I like to go through each example in the review to test my level of understanding. After I get a good measure of what I need to work on, I'll go back and review quizzes and homework notes. After looking over quizzes and homework, I'll go back and attempt the review again." "What helps me a lot when studying is to go over the problems over and over until I don't have any questions on how to solve it." "I definitely went through all of the practice problems given for homework. I think going over some quiz problems would be helpful too." "Something that helps me is that I go for the problems one day and then I go the over them again the next day trying to tell myself how to do them in a way that effort to make sure I know how to do them." "All the labs helped visualize things." "It doesn't help that we're already studying circuits, but I realize there is an info/time schedule. I have not even started studying that info because I am not comfortable with the info on the this test. It's too much for one test." "The review the class before really helps me to know what to expect on the midterm. For me going into class not knowing what the teacher expects is not fun, but being able to review and know what you expect of us and give an example as the what’s on the midterm really helps." "Stress eating definitely does not help!" 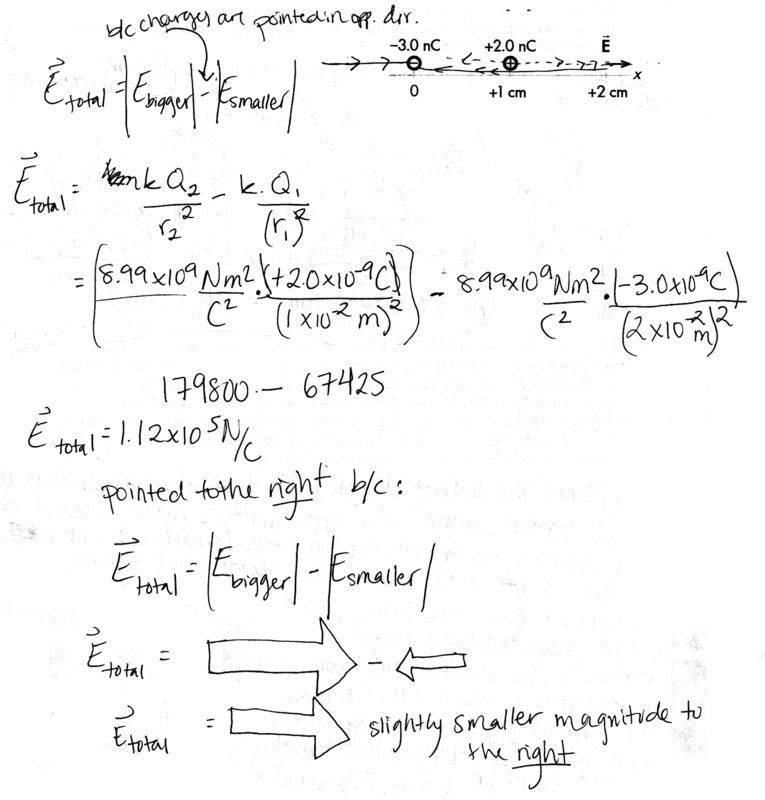 "I like writing out the whole equation sheet and labeling everything." 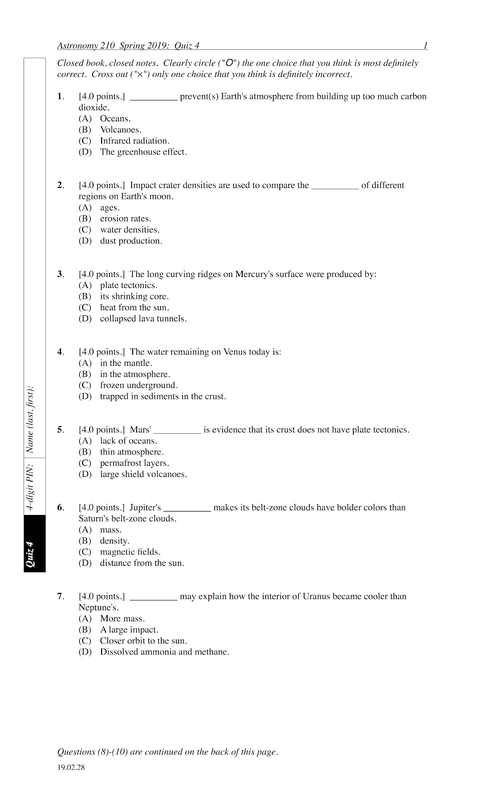 "The practice questions were really helpful. They made me understand what I really did not know. 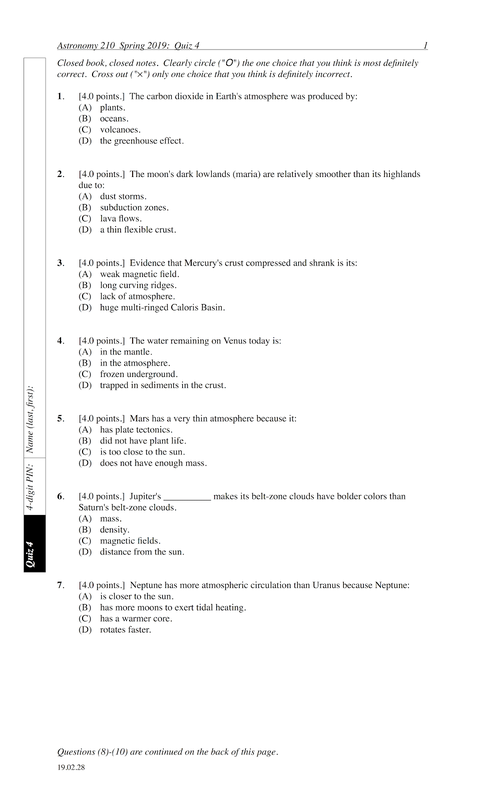 Also at the bottom of the questions there was links and I clicked on those to see other examples and practice other problems in order to make sure I understood what I needed regardless of the format in which the questions were asked." "Don't study for it; just stay on top of it as the instructor introduces new topics." "Really studying the blog post and questions set you up for success on the quizzes and tests. Doing the problems until I know exactly how to approach and solve them." "The example problems are helpful in understanding how to solve a variety of potential equations. Doing the midterm problems from the previous sections helps a lot. Since we don't really practice problems that are similar in structure to the midterm throughout the semester, it is good to practice them and feel comfortable going into the test." "It helps to do as many of the review quiz and midterm problems as possible, to review notes to remember some concepts, and to work out problems with friends." The following questions were asked on reading textbook chapters and previewing presentations on parallax, distance, apparent magnitude, absolute magnitude, Wien's law and the Stefan-Boltzmann law, and a TED-Ed talk on stellar properties. "I liked the TED-Ed talk video because the visuals really helped solidify concepts from the video." 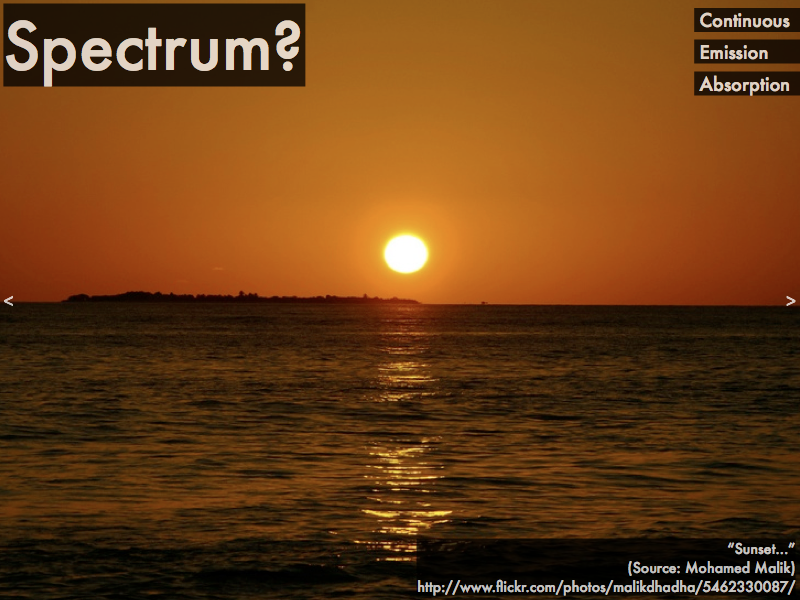 "The multiple ways that spectra can help determine the different characteristics of stars!" "Using parallax to measure star distance was something I hadn't considered and thought that was a pretty cool concept." "Parallax, because when I tried looking at a close object with one eye closed and then back and forth the object that was farther away did seem to move less than the closer object." "How astronomers measure the distance of a star. I sometimes wondered how they did that, but now I see that its a process to do that. They take pictures from two points around Earth's orbit. They take one photograph and another six months later." "That we can tell how far away something was by figuring out how far an object moved when viewed from two viewpoints, and then applied that knowledge on a larger scale using Earth's revolution around the sun! I really loved reading about how we learned how to figure that out in our book. Also, Gaia using these methods to provide the first 3D map of our galaxy hardly needs explaining why that's freaking amazing." "One of my favorite songs is called 'Parsec.' Now the lyrics make way more sense!" "That the brightness you see from Earth isn't actually a star's real brightness, like you could see a star that looks bright and one that looks dim but the dim one is actually brighter." "That the sun 'cheats' in its brightness. I had never considered distance as a factor when comparing the brightness of the sun to other stars." "The scale in which star brightness is measured--it is similar to the way that cross country running is scored. The team with the least points wins." "That a negative magnitude represents the brightest stars." "How there's a color code for determining a star's temperature because they are light years away." "The color of a star is linked to its surface temperature. The hotter the star, the shorter the wavelength of light it will emit. The hottest ones are blue or blue-white, which are shorter wavelengths of light. Cooler ones are red or red-brown, which are longer wavelengths." "Even though an object is blue it may actually be way hotter than an object that is red." "How cooler colors (bluer colors) are from hotter stars. This is interesting because when I was a film major, blue lights also have a higher color temperature despite being used for cool atmosphere." "I really enjoyed looking over what other students found either helpful or unhelpful when studying for tests and midterms. I was able to compare my studying habits with theirs and see in what areas I could improve." "Everything. I liked the whole lesson." "Jow to rank the brightness of the star the apparent magnitude and absolute magnitude." "In particular, I thought that the difference between absolute and apparent magnitude was confusing and I had trouble making the distinction." "I could use some clarification on the apparent magnitude and magnitude scale." "Parallax is kind of confusing to me. If we are to measure the distance of stars, how do we change our perspective from Earth?" "Small parallax versus large parallax." "If the sun is closer than some of the brighter stars, then in my head moving both objects to 10 parsecs away would still make the sun seem brighter than the other objects?" "I do not understand parsecs at all." "Star colors because they all look the same color from here at least to me." "I found the Stefan-Boltzmann law to be confusing because even after reading through it twice, I'm still lost." 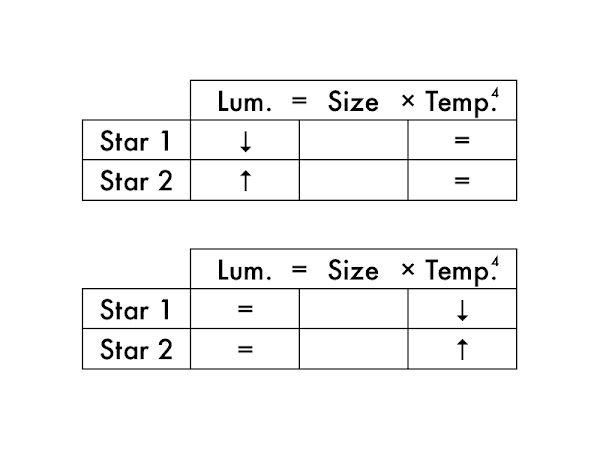 "The math behind star size and brightness. Maff is hard :("
"There's a lot to grasp in this section for me at this moment because I need more examples." Explain how apparent magnitude and the absolute magnitude are defined differently. "Apparent magnitude is the brightness of something in space as perceived from Earth. Absolute magnitude is the brightness of something in space as it actually is." "Absolute magnitude compensates for distance, whereas apparent magnitude is the 'as is' view an observer on Earth has." "Apparent magnitude measures the brightness of the star from Earth, not taking distance into account. Absolute magnitude equalizes all star at 10 parsecs so that distance doesn't affect the results." Suppose the sun was moved to a distance of 10 parsecs away. As a result, its __________ magnitude would become dimmer. Rank the brightnesses of these stars (1 = brightest, 4 = dimmest; there are no ties), as seen from Earth. Rank the brightnesses of these stars (1 = brightest, 4 = dimmest; there are no ties), if relocated to 10 parsecs from Earth. Determine whether these stars get dimmer or brighter when relocated from their original positions to 10 parsecs from Earth. Rank the temperatures of these main sequence stars (1 = hottest, 4 = coolest; there are no ties). Rank the temperatures of these supergiant and dwarf stars (1 = hottest, 4 = coolest; there are no ties). 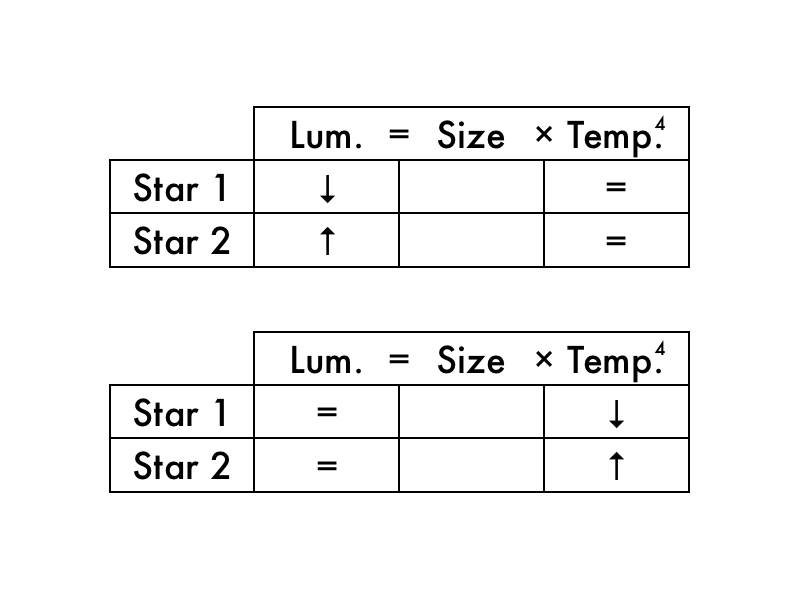 Two stars (equally far away) have the same temperature, but one star is dimmer, and the other star is brighter. The __________ star will be larger in size. Two stars (equally far away) have the same brightness, but one star is cooler, and the other star is hotter. The __________ star will be larger in size. "I'm actually pretty lost. I got the bits and pieces, but I just need help piecing them together." "I like the idea of using parallax to determine distance of objects in the sky." "It was cool learning about the differences in absolute and apparent magnitudes." "Apparent magnitude and absolute magnitude are interesting. A star that is closer may appear as being very bright but if it is moved 10 parsecs away, it will get dimmer." "When watching Star Wars, I had no idea what a 'parsec' was but I learned that it's the distance to an imaginary star that has a 'parallax of 1 arc second.' So now I know what Han Solo meant when he said he made the Kessel Run in 12 parsecs, which I found pretty interesting and cool." "Blackbody radiation is interesting. 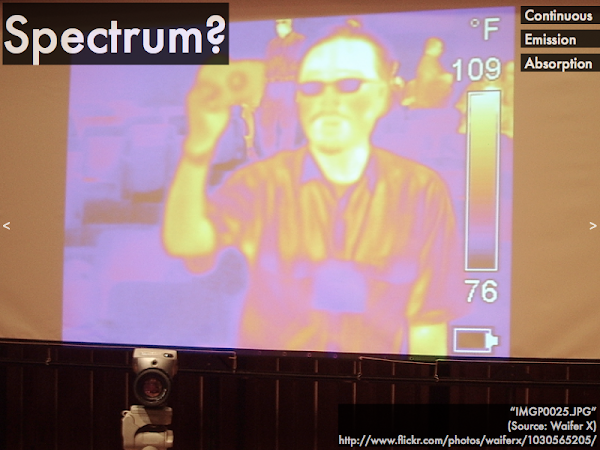 That we as humans emit (infrared) light from our body heat is very cool." "Blackbody radiation and finding the size of a star through its luminosity and color was pretty interesting." "How colors correspond to temperature. This was interesting because it would be assumed that blue means cold but it is actually quite the opposite." 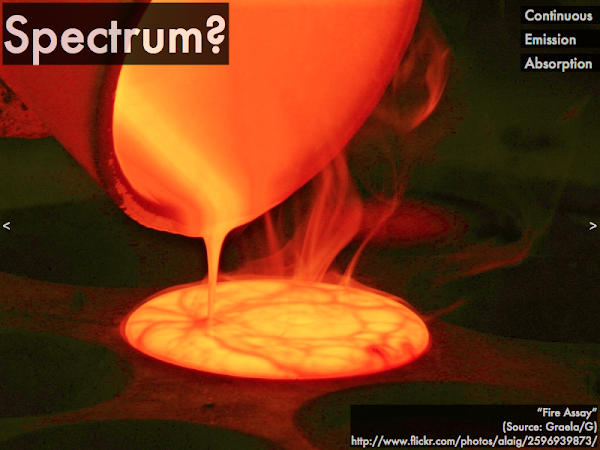 "Based on the color and intensity of light we can determine the size of an object. The deduction here seems pretty basic, but makes a ton of sense." "I found the different colors of hotness to be interesting, because in my mind red is the hottest because of fires and things like that." "I don't understand the difference the magnitude scale and the difference between apparent and absolute magnitude." "The method of determining the distance of a star." "The concept of parsecs. I really need to get some guidance on this when we have class next. I don't know how to understand the info I am receiving." "The whole idea of measuring a parsec and a stellar parallax." "I think the brightness scale is confusing." "Telling which star is the brightest or dimmest." "Everything. the distances, numbers, parsecs, magnitudes, temperatures--there's a lot..."
"The math equations are a little confusing." "Something I found kind of confusing and could use a little bit more lecture on is the Hertzsprung-Russell (H-R) diagram. I think I understand the basics, but I'm also a little confused by it at the same time." "Apparent magnitude is the measure of the brightness of a star as seen from Earth; while absolute magnitude is the measure of the brightness of a star seen from 10 parsecs away." "Apparent magnitude is how bright it looks from Earth, and absolute magnitude is how bright the star appears at a standardized distance of 10 parsecs." "Absolute magnitude is general brightness, apparent is brightness from its location." "Absolute magnitude factors in the star's distance to Earth when looking at it, while apparent magnitude does not." "I will know this by tomorrow I promise!" "Please help me with parsecs." "I swear I read the textbook! Just not in time for the reading assignments, I guess..."
The European Space Agency's Gaia satellite measured __________ within neighboring galaxies to refine predictions of how they will eventually collide and merge with our Milky Way galaxy. (D) star positions and motions. (E) supermassive black hole masses. Astronomy current events question: galaxy NGC 3079 "superbubbles"
Observations of galaxy NGC 3079's gas "superbubbles" may provide evidence of how __________ are produced. (B) lunar impact crater sizes. (D) observing asteroid belt collisions. (E) firing probes into smaller asteroids. 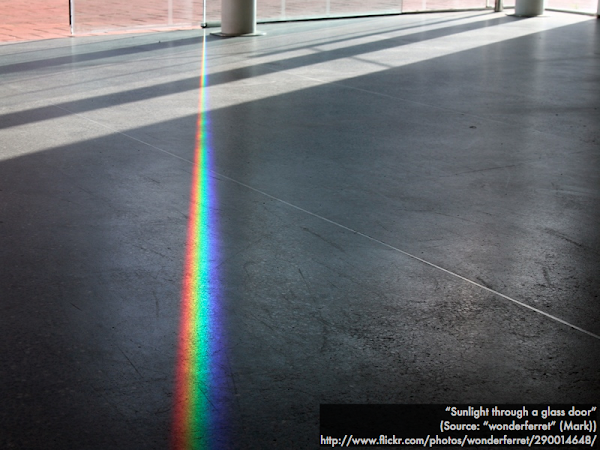 "I thought the different types of light spectra were interesting. I didn't know that there were three types or that there were three different types of light sources as well. It was interesting to compare them." "How each star has its own unique rainbow. I always thought that light being diffused through a prism would be consistent no matter what because it's just emitting light, but to think there's more to the rainbow than meets the eye is amazing to think about. I hope to learn more about that." "I thought it was interesting how each star has its own 'bar code.'" "That there are different light spectrum types, and one has little black lines that read like bar codes--this is interesting to me because while bar codes are something that we created, something like them can be found in nature." "The Lord of the Rings 'hotness' question. It was pretty funny because I honestly wasn't expecting the balrog reference." "The Doppler effect is interesting and the video about is very cool and weird." "The Doppler effect, I've always wondered why moving things sounded like that while passing." "I thought learning about the Doppler effect was cool because I've heard the term used a lot before but never knew what it meant." "The different spectral types because its hard to tell which is which." "I can tell the difference visually between absorption and emission spectra, but the descriptions are quite similar on the slides." "I think I'd just like a nice watered-down explanation to help make connections." "Even though I think it's interesting, I also find the fact each star is producing a unique signature that is specific to that star confusing as heck." "I really don't understand blackbody radiation." "I didn't really find anything confusing." "Because I grew up with it as a planet." "I don't really care for it, if the big brains say its not because of scientific facts then I can accept that." "Pluto is cool, but it's not really worth fighting over." "I'm neutral because even though it's not considered a planet people choose to believe what they want." "Because it doesn't dominate its orbit." "Same as before. According to the 'guidelines' I know why Pluto isn't a planet scientifically, but in my heart I'll always root for Pluto :P"
"Pluto does not dominate its own orbit and is therefore a dwarf planet." "I think classifying it as a dwarf planet is appropriate." "I don't know enough info to make an assumption." "Pluto doesn't meet the criteria to be considered a planet, it is too small." "It's an object in the Kuiper belt like Ceres. It doesn't dominate its orbit so it's not a planet." "Even though it was a planet when I was a kid, Pluto does not match the description of what a planet should be." "Pluto is larger than a star, even though it is not the same size as some planets. Therefore, I think it is a planet." "Thanks to astronomy I know that Pluto is a dwarf planet that lies in the Kuiper Belt, an area full of icy bodies and other dwarf planets out past Neptune. I don't agree or disagree with Pluto being a planet or not being a planet." "Pluto does not dominate its space!" "Pluto unfortunately doesn't fit the standards for planethood. It is unable to dominate it's orbit." "There are rules. They must be followed. (That sounded super-ominous.)" "Why would I disagree with the scientists who put in all the hard work to determine what is or isn't a planet?!?" "Because it does not dominate its orbit." "It doesn't fit the qualifications needed to be a 'real' planet, but its still a dwarf planet so that must count for something." "Because as time went by we evolved changing our views of what a planet is and thus it is no longer a planet." "Pluto did not pass all three of the classification rules for it to be called a planet, it does not dominate its orbit (cause other things to orbit around it) so it cannot be called a planet. unfortunately." "It doesn't meet the necessary criteria (dominating its orbit) so if we allow Pluto to be considered a planet, then we have to apply that same thinking to all other objects." "Everyone deserves to be included." "There are constant changes within scientific discoveries and physics so in a couple decades or so the international astronomical union could declare that the qualifications are no longer that the planet has to be spherical by its own gravity, have cleared its orbital neighborhood, etc." "I see both sides to the argument." "I don't think it should be a planet because it doesn't follow all the three planet rules. I used to think that it should be a planet but I now see why the science community has ripped that title away from it." "All planets have feelings. Treat others how you would want to be treated." 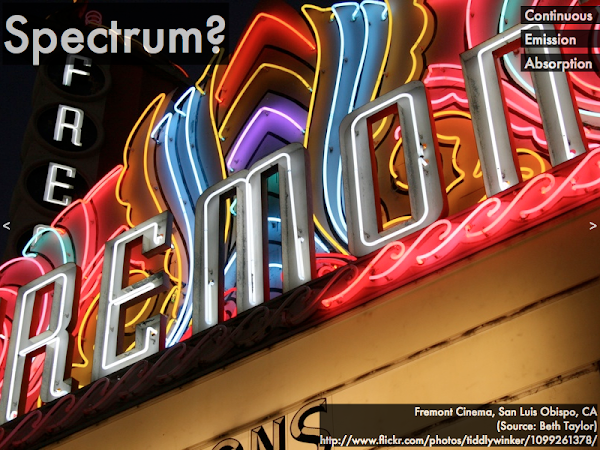 "Definitely need more detailed review on the different spectrum types." The following questions were asked on reading textbook chapters and previewing presentations on circuit analysis. "In a series the current must pass through the resistors in sequence while in a parallel, portions can pass through separately and independently." "There are two types of configurations for equivalent resistances and they each have a different way of calculating them. First, if there is a series configuration--meaning that the resistors are connected in a chain pattern--to calculate the resistance all you do is add them. Secondly, if there is the parallel configuration, to calculate the resistance you take the inverse of each resistor and add them up, and invert the resulting sum." "When the resistors are in series, more resistors would mean that the resistance increases; however, when the resistors are in parallel, more resistors would mean that the resistance decreases, which is good for an ideal circuit." "Current conservation (what flows in must also come out). Current leaving a junction must equal current entered." "I get the basic concept of what goes in must come out. Any potential increase has to equal the potential drop that occurs from the current flowing through the resistors and bulbs." 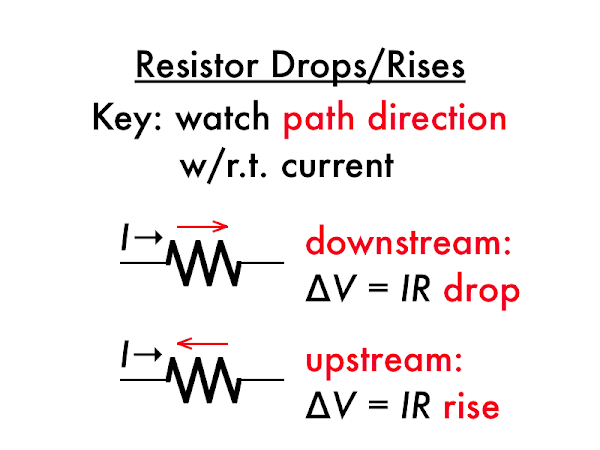 "Resistor drops downstream and rises upstream. 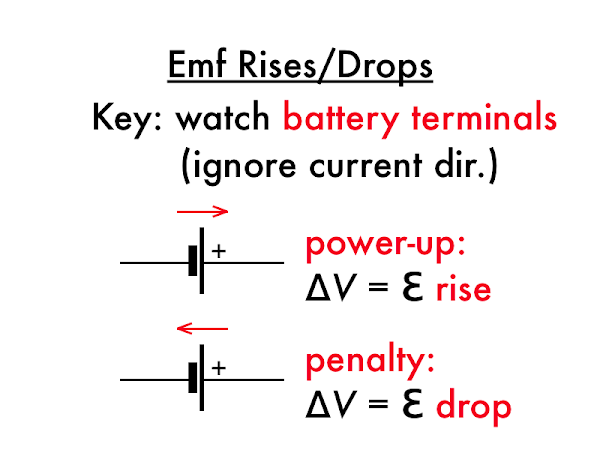 Emf rises during 'power ups,' drops during 'penalties.'" "If we follow a complete loop in an electric circuit such that we wind up back at our starting point all the electric rise this potential added together will equal of electric potential that dropped together. This is having the same location as the final and initial points travel in a complete Loop forming an electrical circuit." "How resistors are connected in series and in parallel and the equivalent resistance calculations. I also understood Kirchhoff's rules." "I am beginning to understand voltages and currents but I need more practice using Kirchoff's rules." "Kirchoff's junction rule and loop rule are both confusing. Might need some examples in class to clarify." 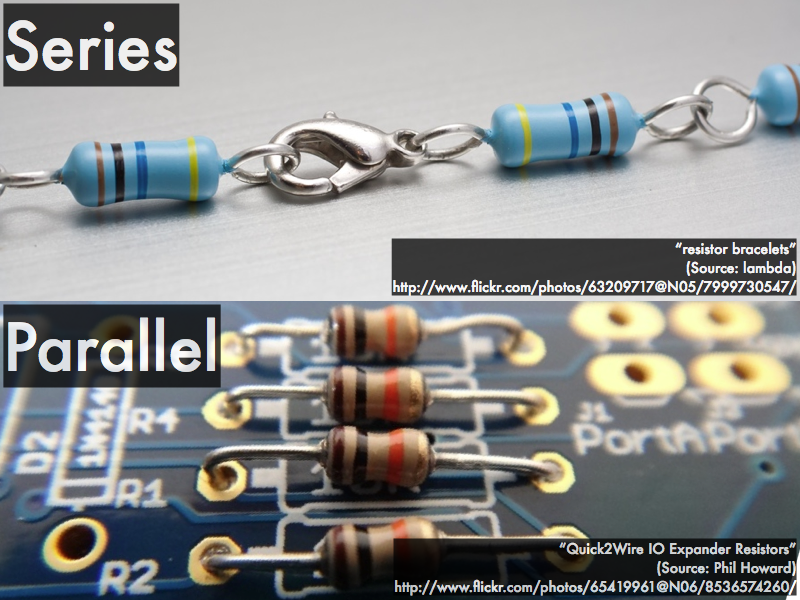 "I am still wrapping my brain around why the series and parallel resistors are so different." "I was a little confused how when resistors are connected in parallel the equivalent resistance is smaller than either resistor." 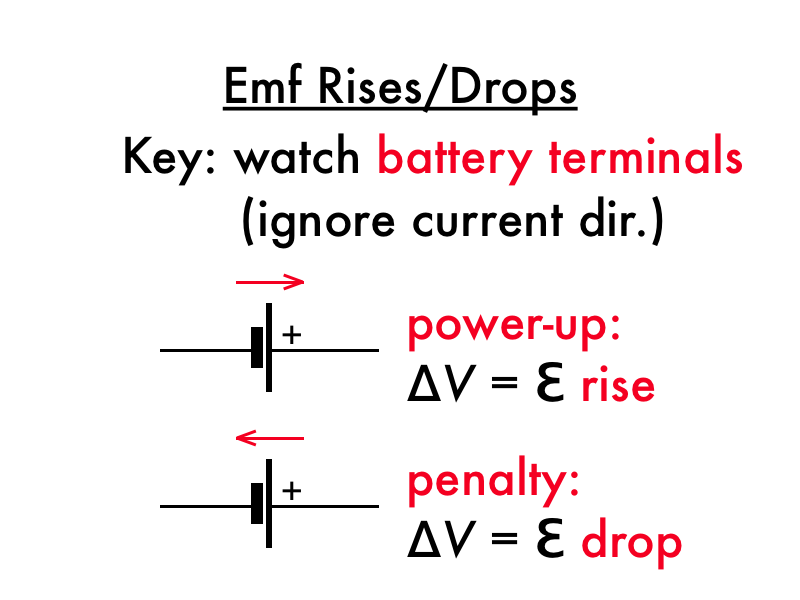 "I am confused about emf rises/drops with respect to the battery terminals and resistor rises/drops with respect to current." "I am hazy about voltage potential difference drop and electric potential decrease when the circuit moves from positive to negative. Also voltage potential difference and electric potential increase when the circuit moves from negative to positive." "I understand the basic concepts, but I think I could use some practice with the actual calculations and logistics of what happens when in regards to the potential and traveling in directions in a circuit." "I found everything very interesting and understand just about everything in this presentation." "I don't understand most of this terminology." Determine what happens to the following parameters as current flows through an ideal wire. Determine what happens to the following parameters if you go through a resistor along the direction of current. Determine what happens to the following parameters if you follow a path (regardless of current direction) into the (–) terminal and out of the (+) terminal of an ideal battery. Briefly explain what quantity is conserved when applying Kirchhoff's junction rule. "Charge flow per time is conserved." "The quantity of current flowing into a junction is equal to the quantity of current flowing out of the junction." "I think it is 'what goes in must come out' which apparently seems like a simple concept but is useful to enforce mathematically as well to analyze electrical circuits." "Kirchhoff's loop rule: the conservation of electric potential (electric potential energy per charge). The sum of voltages around any closed loop in a circuit must equal zero (charge conservation and conservation of energy)." "I was following this up until about halfway then I started to get lost with these concepts." "Hi, sorry I was studying for a chemistry test and pretty much just remembered about this assignment at the last minute. :/ "